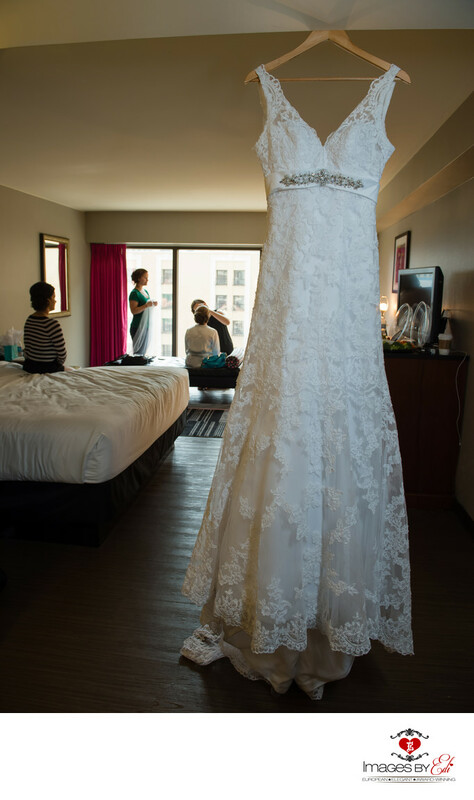 Hair and make up artist doing the finishing touches on the Bride in front of the window, where natural light comes in at the Flamingo Resort in Las Vegas. Her wedding dress is hanging in the foreground. Location: 3555 S Las Vegas Blvd, Las Vegas, NV 89109.